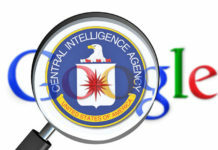 As the US government sifts through the tweets US citizens are making and analyzing information from illegal means, there are decisions about particular citizens being made to justify the construction of an all-encompassing Big Brother network. The Anti-Terrorism Mobile FORCE 1-2 App is designed for iPhone and Android users that create spies out of average citizens for the sake of the State. 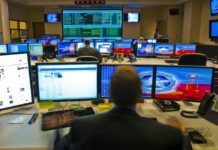 The information collected by users is funneled to a National Security Agency (NSA) Fusion Center to be disseminated with federal agencies and local law enforcement. Simultaneously, Symantec’s Norton Cybercrime Report states that cybercrimes involving smartphones are costing consumers $110 billion annually as these thieves peruse mobile devices and social networks looking for loopholes. Smartphones are sent fake bills which add to the telecommunications services and rack-up charges as well as implant viruses into devices through apps. Infected phones infect other phones through sending of information, text messages and emails. Nameless, faceless hackers change segments of code and inject the malware into the smartphone. However, most mobile phone and telecommunications corporations still maintain that mobile applications are safe and there should be no precautions taken when downloading these apps. The CIA-sponsored AntiSec hacker group was successful in stealing millions of ID numbers from Apple, Inc. from databases where the corporation had been storing user personal data. They then leaked this information out for the general public to see. However, this action serves another purpose. While data mining, cell phone corporations are using mobile phone habits to decipher the predictive movements of users. Scientists from the University of Birmingham in the UK have revealed that they can predict the movements of mobile phone users through tracking the network usage in real time with algorithms that forecast probabilities. This means that cell phone corporations, if using this system could predict the future whereabouts of their customers at any time of the day or night. As our cell phone become weapons of mass surveillance, police departments across the nation are installing more CCTV cameras to better spy on citizens. 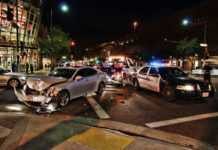 In Maryland, local police have been using speed cameras at intersections to watch citizens under the guise of mitigating damages caused by car accidents. Researchers for the Defense Department have created working prototypes of bi-static radar that can utilize WiFi to spy on citizens through walls. In tests, a one-foot-thick brick wall was used and the monitoring radar could send back visual data to be interpreted. WiFi signals can be extended and are available virtually everywhere which makes the capability of transmitting information easier with radio signals and laptops. With the siphoning of information from a wireless router, surveillance software can be used as well to see through walls. A person’s whereabouts can be correctly pinpointed by using WiFi signals that bounce off objects which can decipher speed, location and direction of an individual. The SLATT’s definition of terrorism is vague and broad. It encompasses “the unlawful use of force or violence against persons or property to intimidate or coerce a government, the civilian population, or any segment thereof, in furtherance of political or social objectives.” While terrorism is meant to intimidate and coerce a population into submission, the local law enforcement is employed to play an integral part in bringing intelligence to the federal agencies and “international intelligence communities” involved with hindering terrorism. The SLATT explains that those who use cash, stay in tight-knit groups, repeatedly use the word “God”, carry video or observation equipment and have hand-drawn maps are terrorists. The document goes on to explain that any type of surveillance that is not state-sponsored is terroristic in nature and should be reported.